Who doesn’t like music? Music is an instant vacation. With the right kind of song, you are transported from where you are to a different kind of world. Whether you’re just staying in and have some R&R or going for a long drive with your best road trip buds, you can bring music everywhere. How to get the best sound experience in your car though? 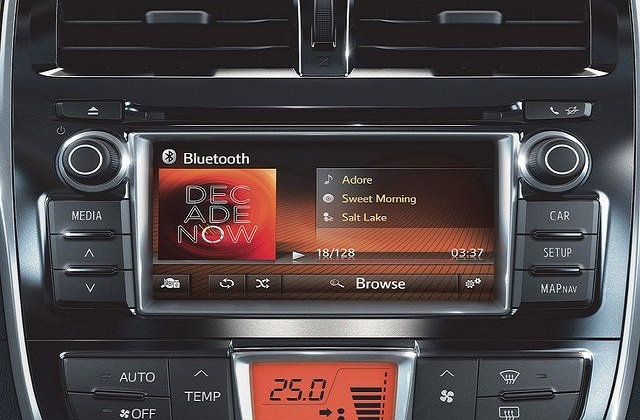 You need a car stereo, yes. But that’s not all. Thanks to today’s technology and to some skilful hands, you can get your car sound certified. There’s a lot involved when it comes to understanding how to upgrade the sound system in your car. Here’s a good example of a car stereo site that goes into detail especially for do-it-yourself types. Search Spotify for the best driving playlists out there from different people with great taste you could download and save. If you can’t find the right kind of playlist you like, build your own road trip music in your favorite music apps. Nowadays, music buying and streaming is just a click away and you can be your own DJ. The songs in your playlists, no matter how hot and trending they are at the moment will be rendered useless if you don’t have a good speaker to play them with. Buy a speaker that can give justice to the beats and rhythms of your favorite song. Choose quality and choose wisely. After all, the goal is to bring music everywhere. Most vehicles have low-quality speakers installed from the factory so upgrading them can make a big difference! It’s amazing how listening to music evolved from carrying around a boom box to Walkman and portable CD players to playing music right from our mobile phones. But the speaker in our phones would not be enough to bring the party in the car. Connect your mobile device, or the device of your friend via a direct connection using Bluetooth. No more looking for and misplacing your wires or having your phones plugged just to play the music you love. 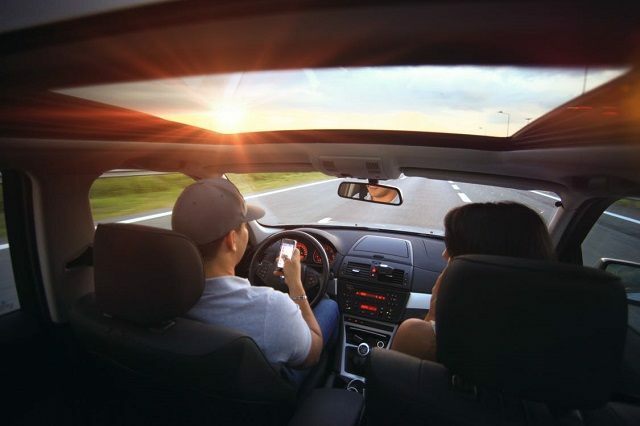 You can still navigate with your phone’s GPS or your friend from the back seat in charge of the music can still update her status on Facebook while playing music through Bluetooth. The sound playing from a speaker of a mini Cooper will be different when played in a truck. It’s because the sound production varies from vehicle to vehicle and speaker to speaker. If you’re playing music from a streaming app like Spotify, you may not be aware but many have an equalizer function built-in. With this you can tailor the sound to your like. You can boost or cut the level of treble or bass, for example. An amplifier is simply a device to amplify – or increase – the power delivered to speakers. You vehicle probably has a low-cost, low power one in its stereo. A more powerful amplifier allows more volume without distortion when playing your favorite music with the volume up. If you shop wisely they’re affordable, but it does take additional money for installation accessories and time and labor to do the job. As most vehicles come with small speakers installed, it’s very hard for them to produce bass notes like you may have heard on your home stereo or other large loudspeakers. A subwoofer is a larger speaker designed only to produce bass and typically they handle much more power than small speakers. However as they’re large speakers they require an amplifier to drive them to get good sound. Some are sold as a “powered subwoofer” which means both the speaker, amplifier, and speaker enclosure are built together. That’s a great option for many people. You feel bad? Play some cool, feel-good music. You need to work out? Play your jam and get the volume high to get your adrenaline and good vibes flowing. I work with music, travel with music, and sometimes, I even think with and sleep with music playing on the background. I play music when I’m happy. I play music when I’m down. Believe it or not, although I can’t sing to save my life, I appreciate the gift of music very much I include thanking God for it every day in my prayers. What else am I thankful for? People who are knowledgeable about the things I’m thankful for. I have no idea how to install a speaker in the car nor am I an expert in choosing the best products and accessories to use. As with many things, you need good information when it comes time to take on a project – especially if it means spending money. 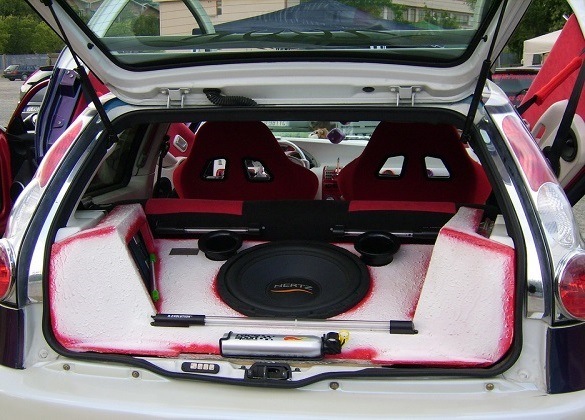 Check out their website’s how-to posts for more details about some car audio projects you can do yourself.